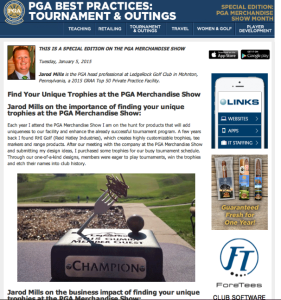 Check out what was said about us this week in the PGA Best Practice emails from our client Jarod Mills at LedgeRock Golf Club. Come see the unique trophies and course accessories that we make at the PGA Merchandise Show in Orlando. Booth 3400. January 27th-29th.